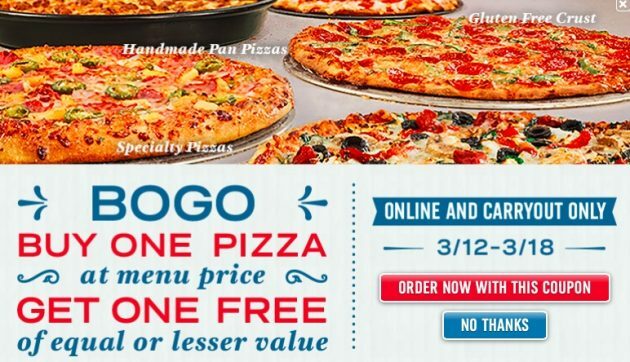 Through March 18, 2018, you can get buy one, get one free pizzas at Domino’s. Both pizzas must be regular menu price, and second pizza must be of equal or lesser value as the first pizza. No coupon code required. Valid for online and carryout only.